Thanks to the hard work of Cheryl, Reilly, Kristin, Arlen, Lydia, Bettina, and the rest of the alums who came to help lead the scavenger hunt or serve ice cream, the local Class of 2013 incoming freshmen had a great chance to get to know each other before the start of classes. 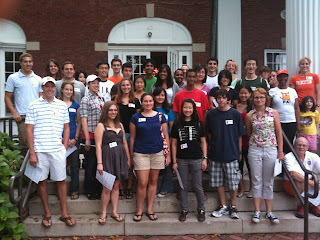 The official Class of 2013 welcome is at Pre-rade on September 13th around 4:00 pm. 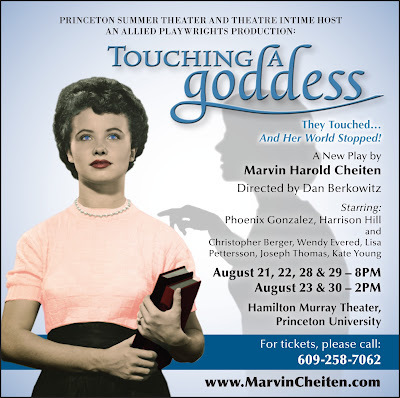 Playwright Marvin Cheiten earned his Ph.D. in French Literature at Princeton University in 1971. Mr. Cheiten is no stranger to the area or its inhabitants; his prolific ability to weave a story from contemporary life is coupled with his deep understanding of the stately, affluent, and multi-cultural society of Princeton. In this most recent endeavor, Cheiten has teamed up with fellow Princeton Alum Dan Berkowitz (class of 1970) as director and presents actress Phoenix Gonzalez (class of 2011) as the leading lady. The play, touching on the sometimes intolerant sentiments one finds in preparatory school life, will premiere at the Hamilton Murray Theater on campus on August 21st, 2009. Other plays of Marvin Cheiten which have debuted on the Princeton campus, include Whizzer's Island, The Star, Queen Jane, The Golden Spy, Chowder, She Wrote, Zenobia, and Miss Connections. Click here for ticket information and details.